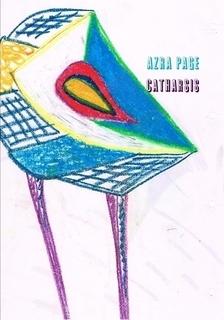 Azra Page’s CATHARSIS is a collection of two parts: the first contains found poems constructed from psychiatric hospital notes, interspersed with passages from her diary and accompanied by the author’s drawings, and the second is a short play focusing on life after institutionalisation. I want to say that Page’s CATHARSIS is a haunting read that furiously turns the reader over like a ship in a storm. That CATHARSIS captures the knotty emotions of a woman fighting against herself, against bureaucracy, against her friends and family. I want to say that CATHARSIS grabs the reader and pulls them down in an intensely testing and upsetting period of this woman’s life. But that’s simply not true. The diary pages have a lot of potential, but the emphasis is on the found poems rather than the diary entries. In these short lines we find pockets of the person mentioned in the reports; ‘am I still a risk to myself? Yes. I would kill myself if I thought I could get away with it […] went to visit two adult wards in ——. They stank of piss and were full of old women. It made me cry. I’m fucked.’ However, there’s not enough here to counteract the clinical nature of the found poems, as each diary entry is rarely more than a line or two long, and doesn’t seem to interact with the medical poems on either side. It would have been interesting if Page had made something of this, to accentuate the difference between her personal experiences and those written in the reports, but there is no overlap between the two, which is somewhat frustrating. Yet this theme is hinted at occasionally throughout – both in the diary entries and the play, in which Natalie ‘has clearly lapsed into old habits […] Natalie is wearing clothes with obvious stains (including blood) and her hair is visibly greasy’, which the Responsible Clinician ignores: ‘I’m glad to see the medication is working.’. There was potential for the poems and diary entries to cross over more, so as to accentuate this theme. 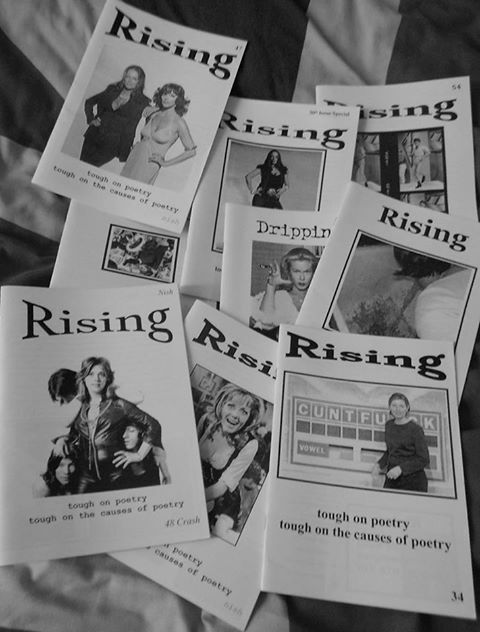 There is an added difficulty with the found poems, in that because of the nature of the primary texts none of the poems stand out above the others. They are featureless, lack mood and tension, and are dangerously consistent; short observations of activity or non activity interrupted by numbers from suicide scores and psychometric tests. In addition, found poetry works best when it works against the interests or activity of the original text. It’s a process of creating something new, and in a sense reacting against the text. Page’s poems align themselves with the theme of the reports, and so from a crafting perspective Page doesn’t lift a new text from the primary data. Again, to find a poem in legal or medical reports is very difficult, and had Page chosen instead to write meditative poems influenced from her diary entries or created found poems from these entries, I think my review would be a very different one. 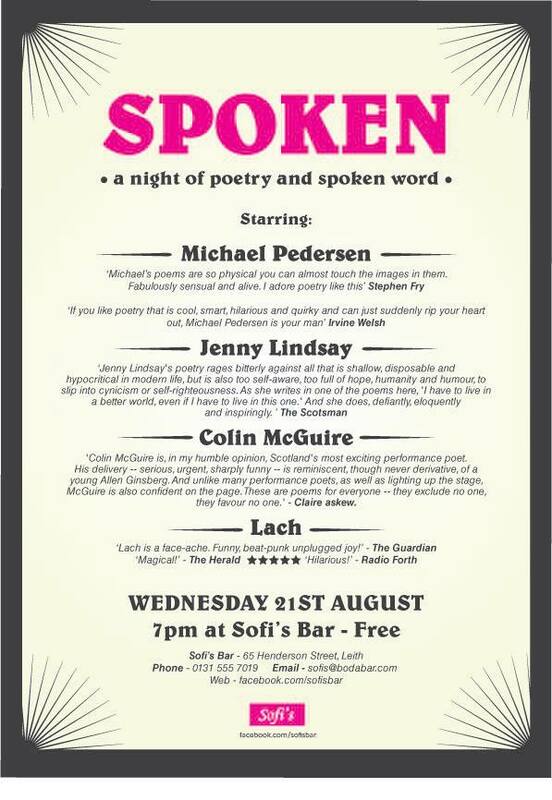 So unfortunately, I can’t recommend CATHARSIS to poetry readers, but part two is prose: a play. The play follows Natalie as she leaves the psychiatric hospital and comes to terms with life outside. She struggles with old friends, family members, and clinicians, all of whom manipulate her in various ways and fail to understand her situation, her behaviour and her difficulty communicating. The thrust of the play is thematic – an exploration of the lives of ‘revolving door patient[s]’ – particularly the time between admissions which Natalie refers to as; ‘Flat Space’. Those present are: a judge […], an independent doctor (Dr), Natalie’s Responsible Clinician (RC), and Natalie’s Social Worker. The actors of these characters later double up as Natalie’s friends and the voices that she hears. Michael is mute (he is played by the same actor that plays Natalie’s responsible clinician) […] all of Natalie’s friends are played by the same actors as the hospital staff in the previous scene, in slightly different costumes. I could understand this doubling up of actors if there was a symbolic reason for doing so, but that isn’t clear from the text, and the seemingly random assignation of actors to characters in the second scene of the play makes me doubt whether the move is a symbolic one. I could understand shifting the actors around later in the play so as to confuse the audience and emphasise Natalie’s deteriorating mental state, but doing so in the second scene of the play is confusing and unclear. A similarly strange choice is made later in the play when something unfortunate happens to a character we met only once, yet we are encouraged to feel sympathy for this character when, had it had happened to one of the other characters we’d grown to know, it would have been far more effective. At points it’s not clear quite where the play is going, or whether it’s moving at all, though this stillness is counteracted by the good characterisation and entertaining dialogue that reveals more about the various characters and their story lines. The story picks up later in the play when Natalie’s father enters the picture, and this leads to a heavy scene weighed down with exposition that could have been sprinkled through the earlier scenes. The conclusion is very dark, but the play does read much better than the poetry. 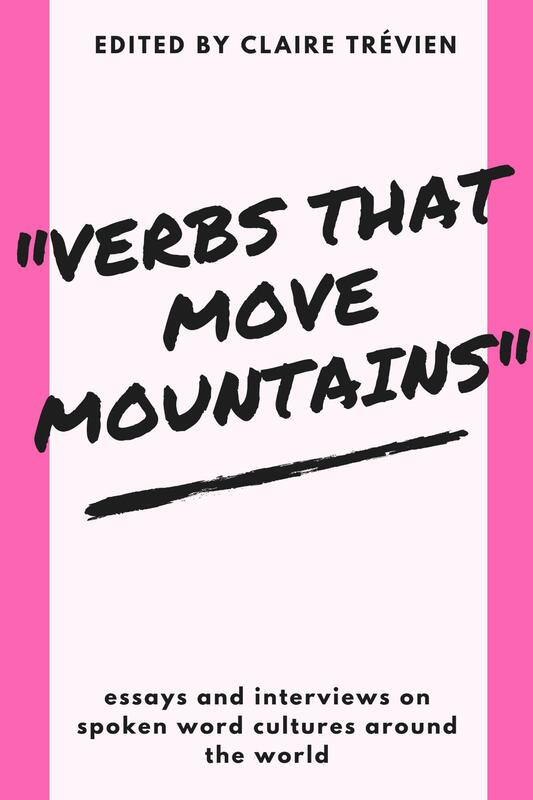 I’d encourage the author to stick to prose, or find a form of poetry that better expresses the theme she wants to tackle.